This week voters will determine the top place to stay at Lake of the Ozarks. See this post for a link to vote. LiveRez partner Crystal Water Villas has been voted as one of the Top 5 Places to Stay at Lake of the Ozarks. And, this week voters will decide which of those top 5 companies will be crowned the No. 1 place to stay at Lake of the Ozarks. “We're so excited to be considered as one of the Top 5 Places to Stay at the Lake of the Ozarks,” said Sherry Shippee, president of Crystal Water Villas. Crystal Water Villas faced serious competition to just make the top 5. Businesses from seven different cities on and around Lake of the Ozarks were eligible. Normally, the category is dominated by big-name resorts with hundreds of rooms. Crystal Water Villas is one of the first vacation rental management companies in recent memory to make the top five -- a huge accomplishment in its own right. And, in the top 5, Crystal Water Villas is competing against many of those big names. 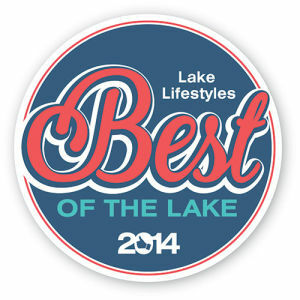 The competition, called Best of the Lake, is sponsored by TheLakeOnline.com, a joint effort between local publications Lake Lifestyles magazine and Vacation News. It allows voters to choose the best local businesses in more than 100 categories. You can help Crystal Water Villas compete for the top spot by voting in TheLakeOnline’s survey. Skip down to question No. 50 to vote for Crystal Water Villas (you don't have to complete the entire survey). Voting closes March 4, so make sure you get your vote in by then.